All that happened in markets today. 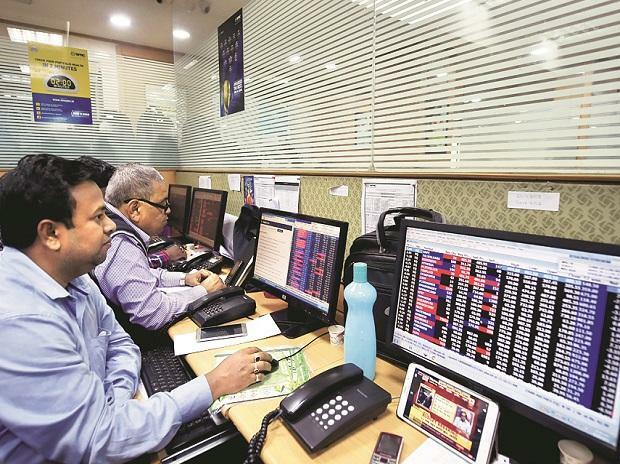 Equity benchmark indices ended in the positive territory for the sixth straight session on Monday, amid sustained FII inflows and firm global cues. The S&P BSE Sensex added 71 points or 0.19 per cent to settle at 38,095, before hitting a high and low of 38,370 and 37,952, repectively in the intra-day trade. NSE's Nifty50 index ended above 11,400 level at 11,462 with 31 components in the green and 19 in the red. The broader market slipped into red with the S&P BSE MidCap index ending down 30 points, or 0.20 per cent at 15,141, while the S&P BSE SmallCap index shed 20 points or 0.13 per cent to settle at 14,818. Volatility barometer India VIX climbed over 7 per cent to 17 level. In the forex market, the rupee extended its gain to hit a high of 68.44 during the day, its highest level in the past seven months against the greenback. Shares of Bajaj Finance ended nearly 3 per cent higher at Rs 2,941 apiece on BSE. Maruti Suzuki India (MSIL) dipped 4 per cent to Rs 6,780 on the BSE in the intra-day trade on reports of production cut due to slower demand. The stock, eventually, closed at Rs 6,910 apiece on BSE, down nearly 2.6 per cent. Shares of Lupin slipped 6 per cent to Rs 741 on the BSE during the day after the drug maker's Somerset facility was classified as Official Action Indicated (OAI) by the US health regulator. It ended at Rs 754.50 apiece on BSE, down nearly 4 per cent. Shares of real estate companies rallied up to 18 per cent in the intra-day trade on Monday, after global investment firm Blackstone and Embassy Office Parks on Friday raised Rs 1,743 crore from anchor investors ahead of the India's first real estate investment trust (REIT) issue that opened today (March 18). Nifty Bank ended at 29,596, up 0.73 per cent with 10 components advancing and 2 declining. Global stocks rose to their highest in five months and the dollar dipped as traders began to price in an accommodative stance from the US Federal Reserve at its policy meeting this week. MSCI’s All-Country World index, which tracks shares in 47 countries, was up 0.3 per cent on the day. E-mini futures for the S&P 500 were higher by 0.06 per cent, indicating a positive open on Wall Street later in the day. Oil prices were just off their highest for the year so far. US crude was last down over half a per cent at $58.2 a barrel, while Brent crude futures lost 0.4 per cent to $66.88.